When I volunteered to take Cyb's shift, he wasn't quite sure if he should let me. I don't quite remember the exact words, but he said stuff like "But mewse, you don't even like Doom" and "Well, this will either be really bad or really funny." Click on "more" for more, I guess..
Also, I have to apologize for being a day late. I thought the deadline was later. 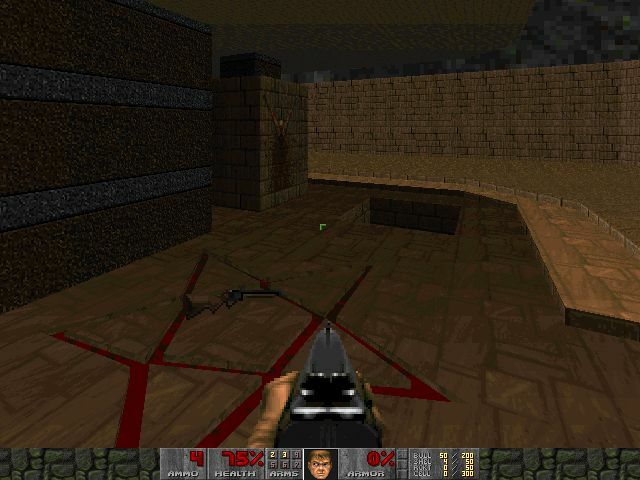 This is a decent map, the author states that this is his first level in four years, and that's not hard to believe. While there is definitely some fun to be had in this map, there is a small list of things that stand out as substandard. 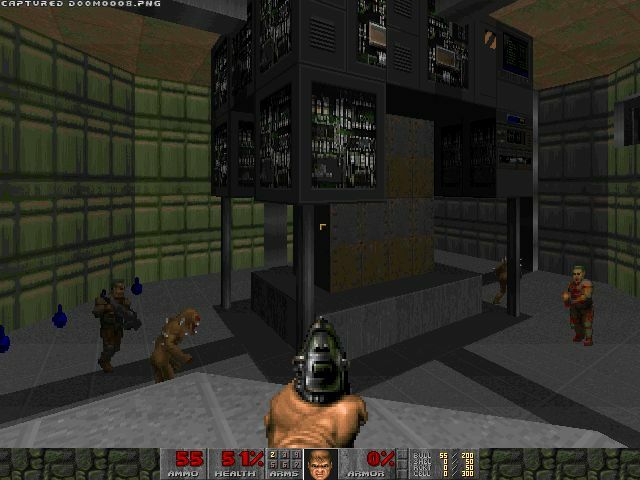 There are several areas that simply feel boxy, and while there are numerous details in the map, they aren't exactly consistant. 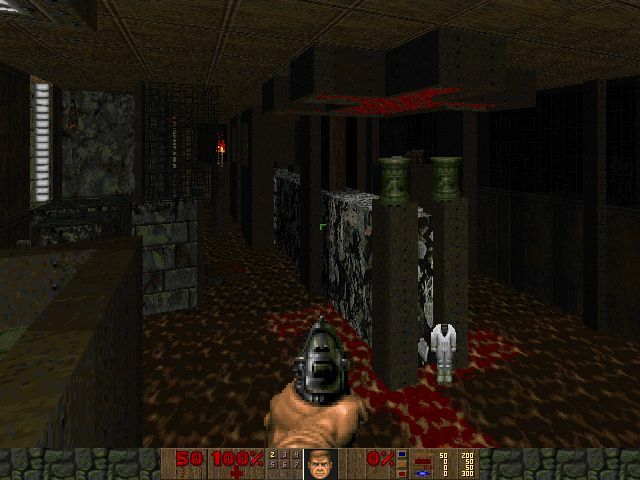 One of the best looking rooms in the map was made with green marble and blood pools, but it was off to the side and had a total of three low-level monsters in it. 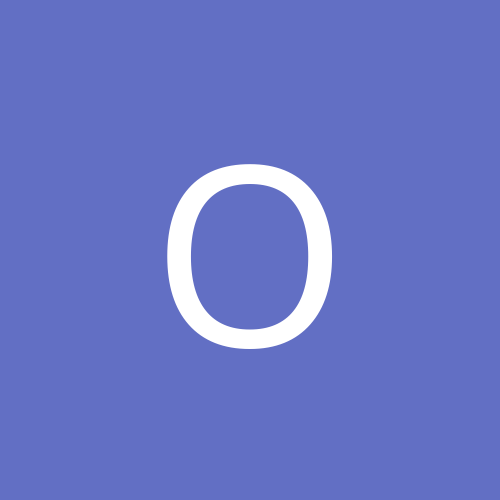 Texture, and even flats alignment seems non-existant. 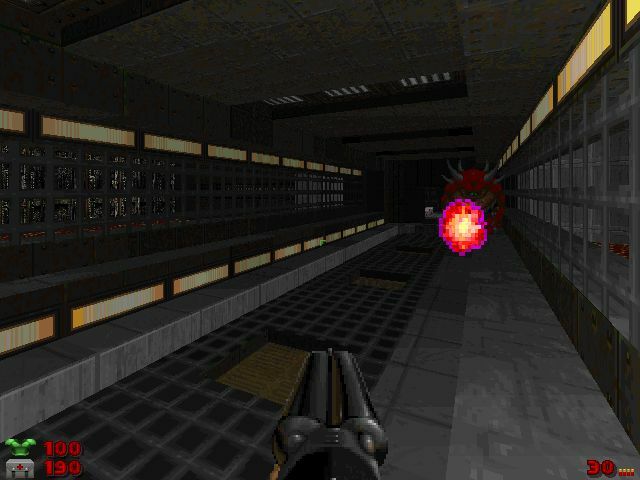 Revenants are encountered in a fairly open area where it is hard to avoid their heat-seeking rockets. There were two areas that were almost too dark to be playable, and populating one of them with Spectres wasn't a pleasant idea. Now that the criticism is out of the way, the highlight of this map is probably the mini-hub at the end with three areas that need to be finished before exiting. It was pretty original to see this done without using red/yellow/blue key combinations. This is a really neat little mod. There are three maps shaped like Pac-Man mazes, and your task is to collect all the pellets. 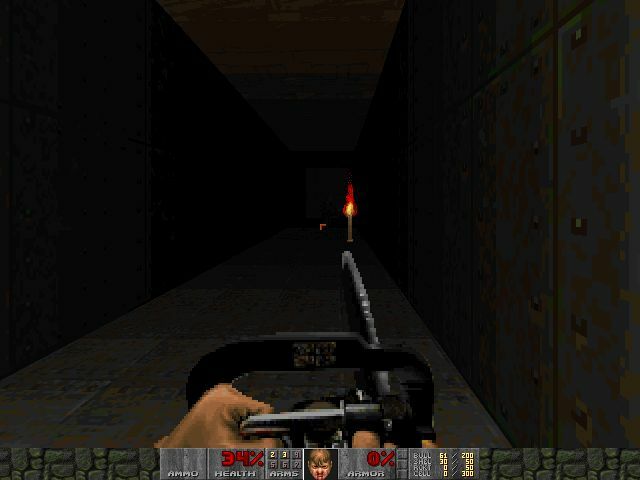 When you hit a power pellet, you gain God mode and access to all the Doom weapons for a certain amount of time, to allow you to take out the ghosts. This is a very original twist on a classic game, and it's a lot of fun to play through. 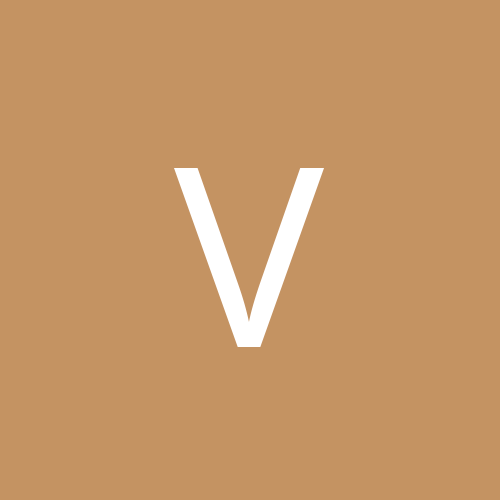 The play tips at the bottom of the text file are recommended reading before playing. How do you pronounce Epyo anyways? This little map is very well constructed. 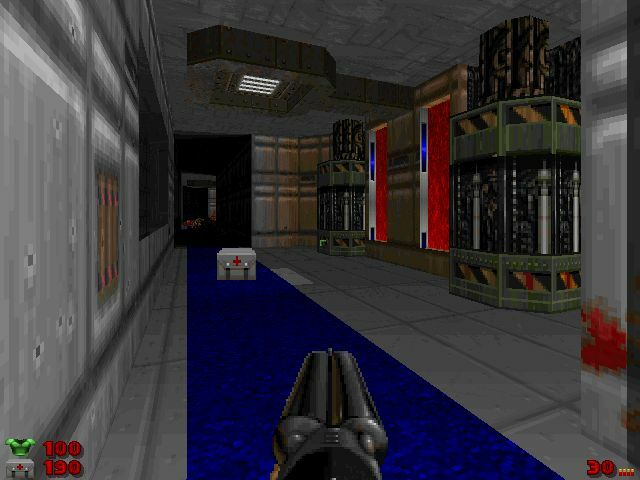 When I first read that it was a MAP01 style map, I was expecting something much less interesting, but this map barely resembles MAP01 at all save for the texture scheme and the small size. It was a lot of fun to play, but I'm still not sure if there were any secret areas, as I couldn't find any even with my magical noclip boots on. 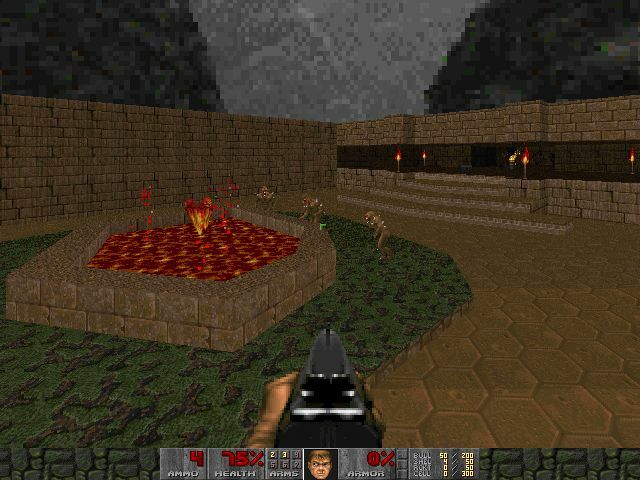 Generic Deathmatch Map. I don't know whether there's an exit switch. Slightly More Interesting Generic Deathmatch Map. Features 3D bridges. Damnit, Tim Williams, oh wait, it's single-player this time. It's an interesting concept with a small zig-zagging course that you work your way through, where you hit a switch and the walls drop, revealing a new set of monsters that you have to work your way back through. Am I ruining the surprise? This wad gets extra props for the spelling mistake in it's own name ("Dental"), making the exit room a "secret" area, and bashing DeeP in the text file. 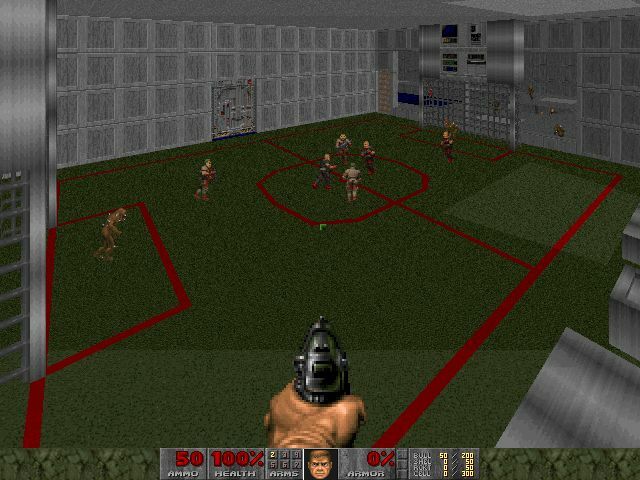 I couldn't review this wad because I don't have Doom Legacy installed. Interesting set of maps, they begin at E1M2. 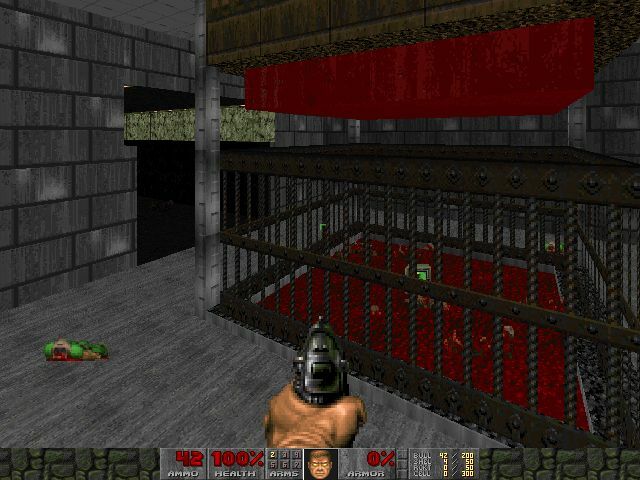 The best Tim Williams map yet, the climax is crushing a cyberdemon inside a gigantic cage. Fun fun. 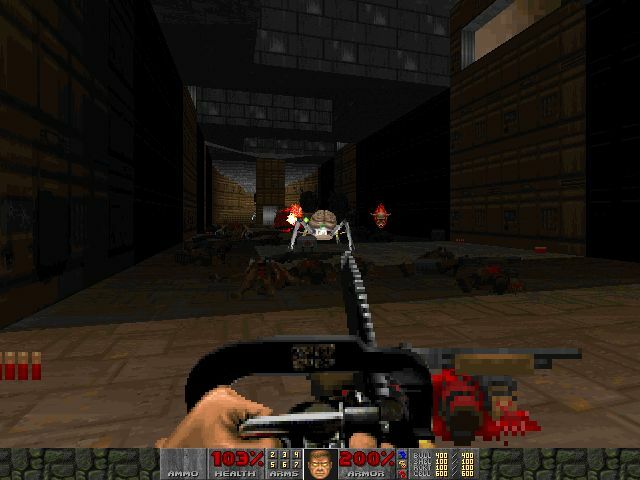 The zip has four versions of this wad, with the combinations of day or night and ZDoom or not. 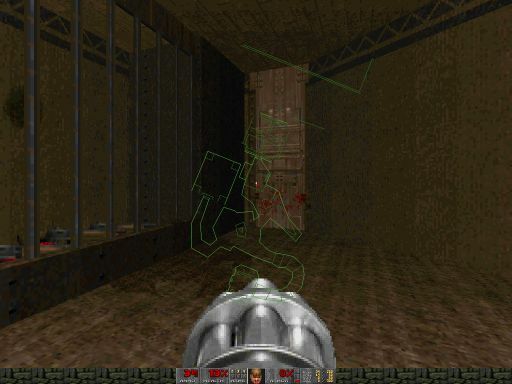 The ZDoom versions feature a few ZDoom-specific effects like curves and particles. 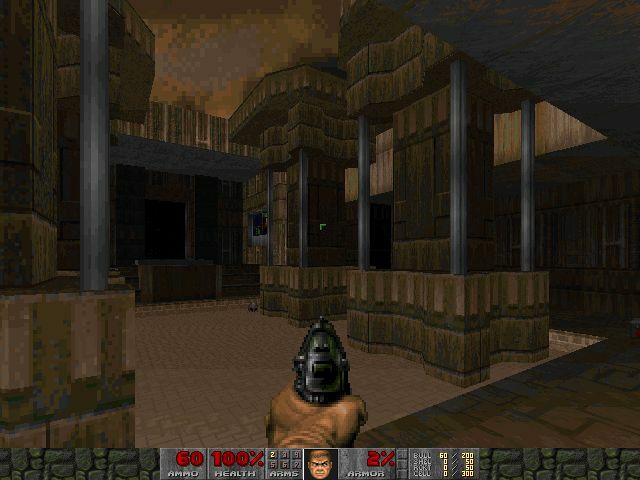 This map fits it's theme very well, which isn't all that common with Doom maps. My only criticism is that it is very linear. 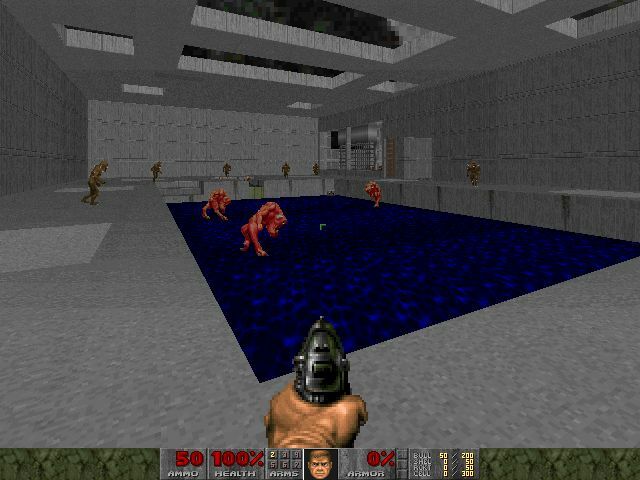 The author credits E4M2 of Ultimate Doom as inspiration for this map, and that does come across pretty well. This is probably the second best Tim Williams wad so far, behind Graphed. This is a 5-level compilation of previously-released wads. It's like nuts.wad except it's got some sort of map design. 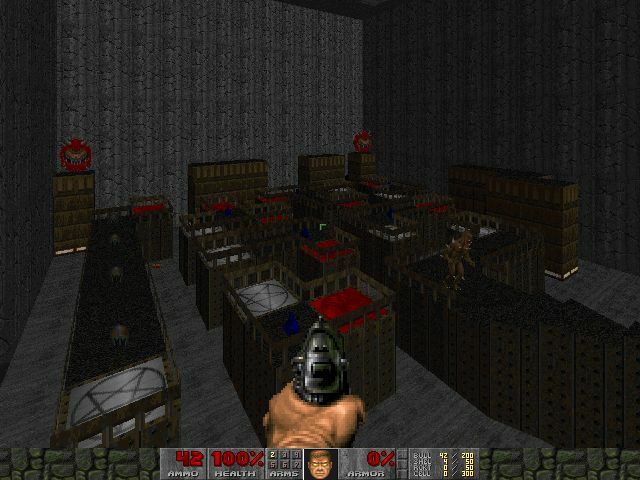 Deathmatch map, it's larger than bunker.wad, and it looks like it could be fun to run around in. This is a nice megawad and it's obvious a whole ton of work went into it. The maps start at MAP14 but the author recommends you read the mission briefing included in the text file. 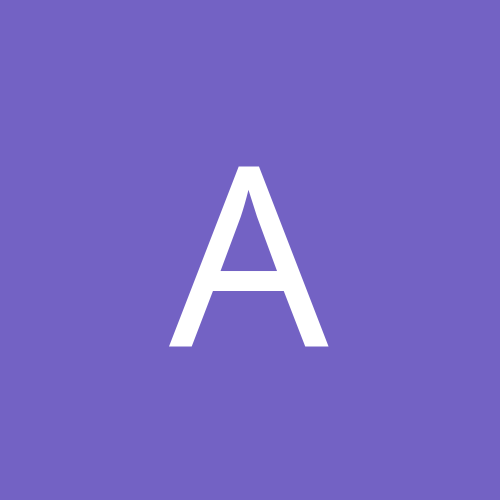 The dehacked patch only affects some text strings, and is not required for gameplay. CAUSE WE DRINK AND DRINK AND DRINK AND DRINK AND DRINK AND DRINK AND DRINK AND DRINK AND DRINK AND DRINK AND DRINK AND DRINK AND DRINK AND DRINK AND DRINK AND DRINK AND DRINK AND DRINK AND DRINK AND DRINK AND DRINK AND DRINK AND DRINK AND DRINK AND DRINK AND DRINK AND DRINK AND DRINK AND DRINK AND DRINK AND DRINK AND DRINK AND DRINK AND DRINK AND DRINK AND DRINK AND DRINK AND DRINK AND DRINK AND DRINK AND DRINK AND DRINK AND DRINK AND DRINK AND DRINK AND DRINK AND DRINK AND DRINK AND DRINK AND DRINK AND DRINK AND DRINK AND DRINK AND DRINK AND DRINK AND DRINK AND DRINK AND DRINK AND DRINK AND DRINK AND DRINK AND DRINK AND DRINK AND DRINK AND DRINK AND DRINK AND DRINK AND DRINK AND DRINK AND DRINK AND DRINK AND DRINK AND DRINK AND DRINK AND DRINK AND DRINK AND DRINK AND DRINK AND DRINK AND DRINK AND DRINK AND DRINK AND DRINK AND DRINK AND DRINK AND DRINK AND DRINK AND DRINK AND DRINK AND mewse. Yay newstuff! Too bad I'm too tired to play right now. Map01-Style and Cry of the Poseidon are the ones I'm most looking forward to by the reviews and screenies. Hopefully I won't be disappointed when I play them tomorrow. Dentil was damn fun to play too. I didn't recognize the name. Mewse should review every week. If that pisses him off, it can only lead to more entertaining reviews. 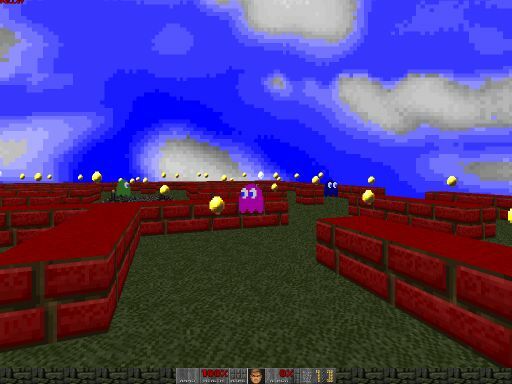 heh, pacman doom was fun. i guess maybe it's good it only has three maps, i think it would get boring quite fast. 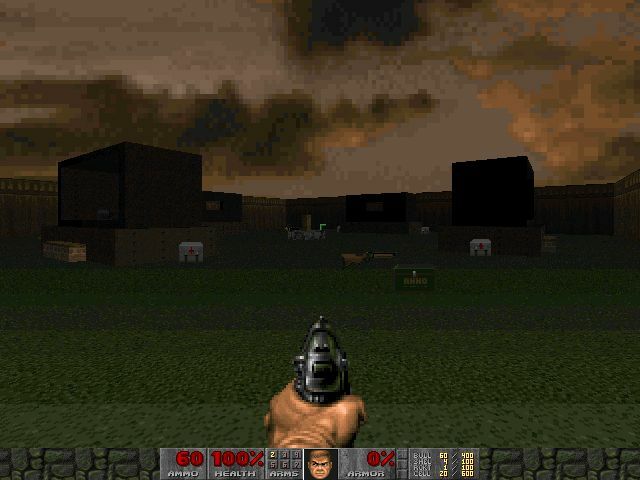 Actually, I wish Pacman Doom were longer. yeah, probably. seven maps or so would be ideal i think. Lowblow is just a very good map. Tight, tricky, well-balanced and plenty of "character". Recommended. Lucifers Pool Party is sort of fun - lots of BFG slaughter of hordes of big monsters. Quite a few annoying features though, and it certainly has its flaws. Max kills isn't possible as far as I can tell due to a rather silly feature at the end where you have to guess which of two teleporters is the exit. I think it will be a very welcome spoiler if I mention that the correct one is the one on the right. You might really hate this map, but I didn't. 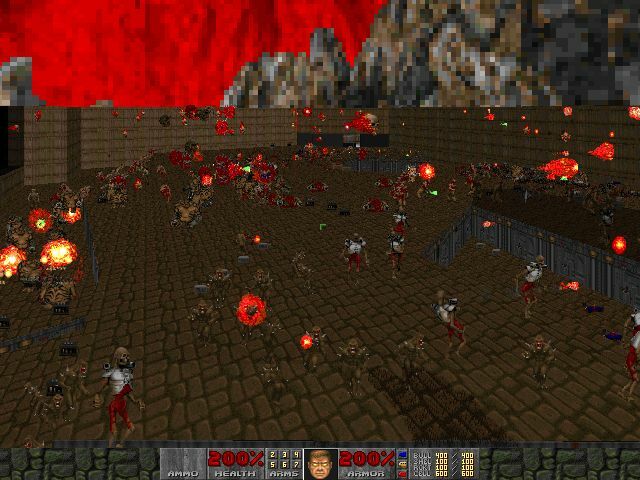 DooMBoy - Whatever happened to that cathedral map of yours? I thought it would have been reviewed by now. mewse probably accidentally skipped it. Anyway, did anyone play my levels? I didn't get the chance yet. 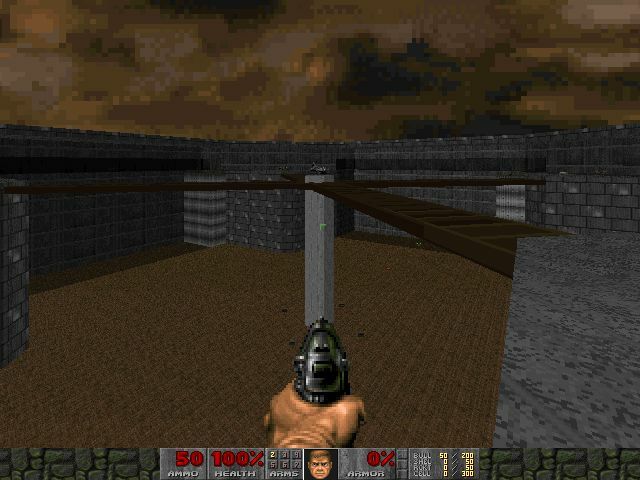 And as for DooMBoy's map, maybe there's still a few bugs to be fixed (althoughI didn't see many when I last tested it). HAHAHHA These are great reviews! It starts out with a big 7 line review, then ends with a megawad in 2 lines. Roofleshoes. I'm gonna play something else now, maybe Archvile's thingy. 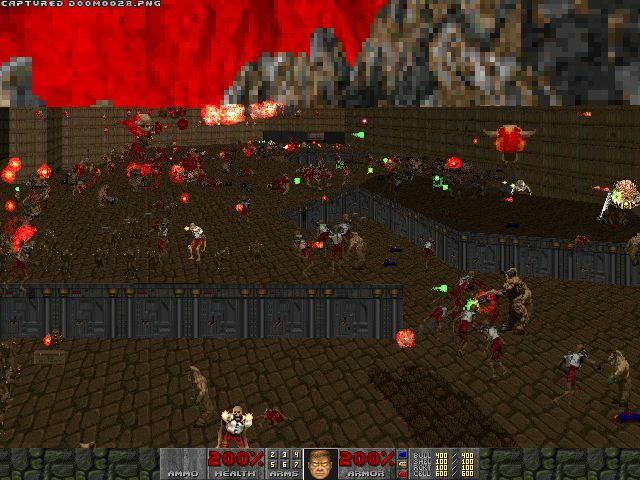 Except it is not a megawad by any definition of the term: it only has five maps, two of which have no monsters. Err yeah, since when can a wad with only five levels (one of which only consists of a single room) be considered a megawad? It can't. Only wads with 15+ levels are considered megawads (says Ty). Are they the same as the ones I played some time ago? I think your handling of multistorey buildings is quite good. 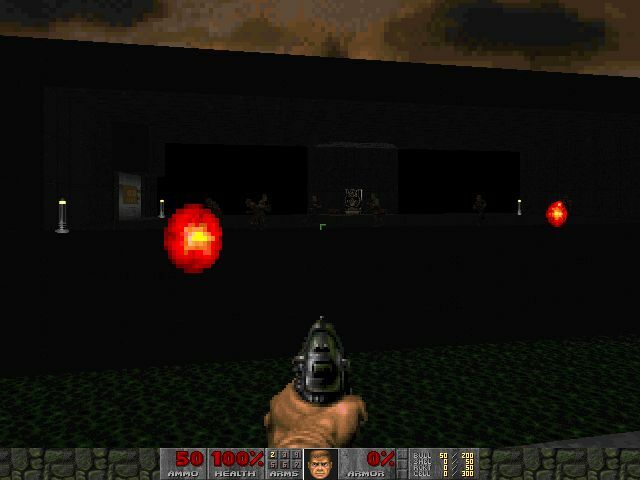 Also, while they are completely modern Zdoom maps both with respect to design and action they still has peculiarly "altmodisch" flavor. Probably, I know a few people had played these at some point. This is just their first public release. I dunno, supposedly DooMBoy had uploaded a level in the past week that should have been reviewed. 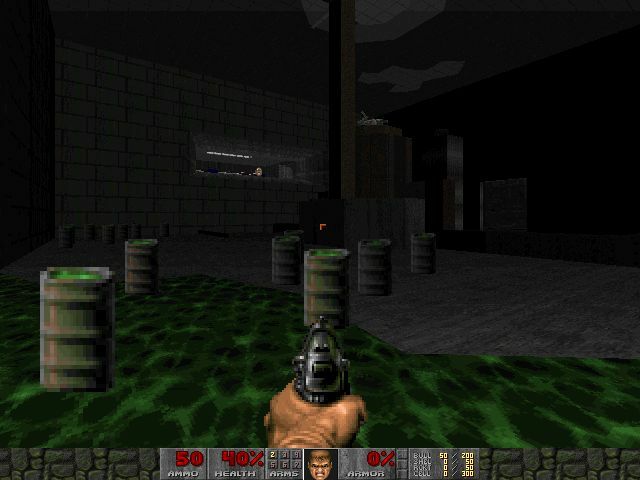 I'm not quite sure why he called my wad a megawad, when there's only one real level. I guess he probably got around to playing it last night and only had two minutes to f with it. Did either map crash on you? Did you try saving on either map? They both worked 100% fine for me. 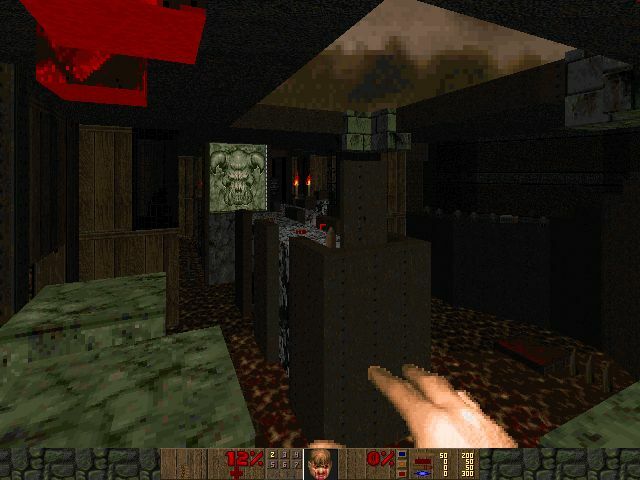 I saved on them both (usual segment crap) and then the first map crashed on me in the circular green marble room with the 3D floors (same excuse). 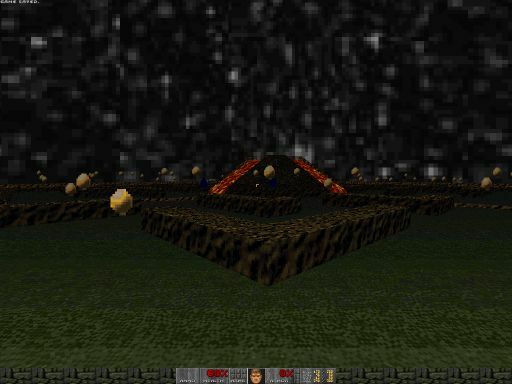 I had a quick look through the other one and decided it was not worth the risk of playing through a map that size (with god mode due to hardness and lack of save) and having it crash on me near the end. 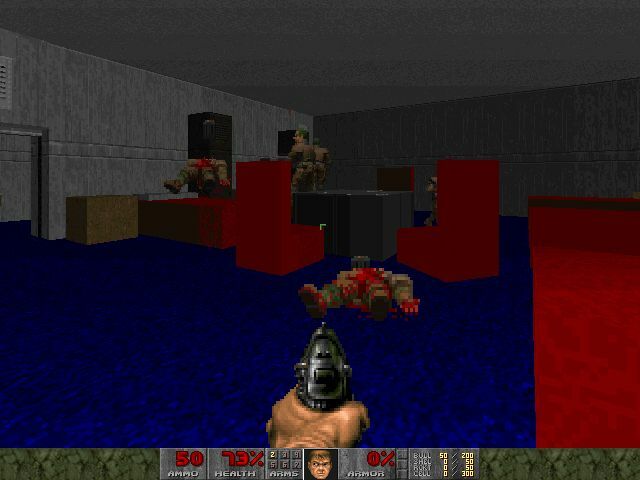 What about replacement wads for a complete Ultimate Doom episode?